Finding yourself inside the store at the checkout counter before you realize you have forgotten your shopping bags in the car, can be frustrating. 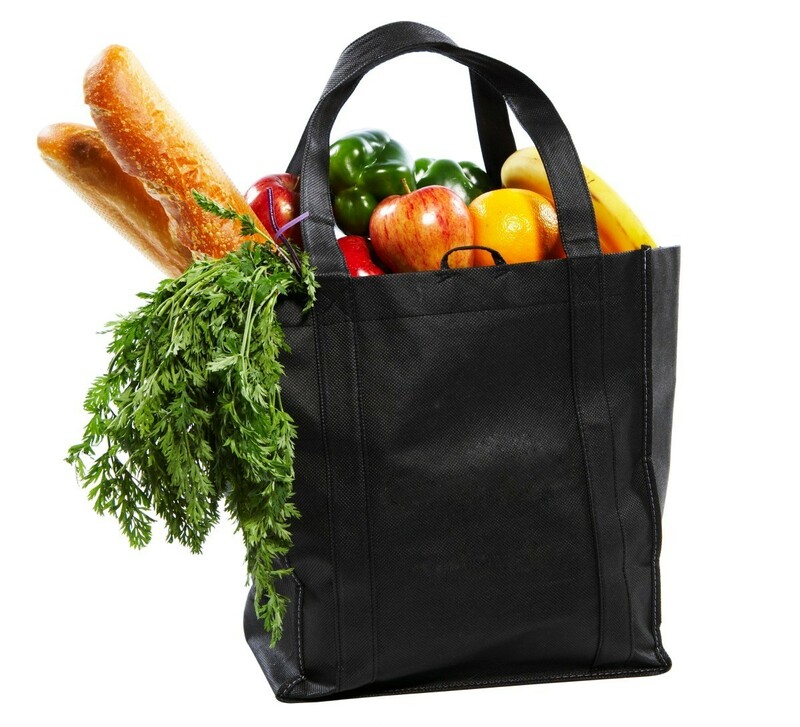 This is a guide about remembering your reusable shopping bags. Have you ever had either or both of these things happen? 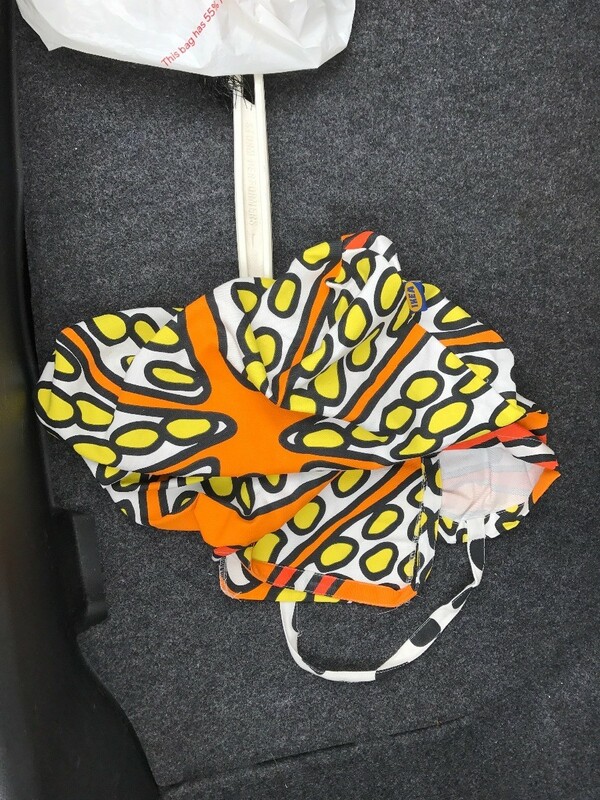 You purchase those in-store bags with the square bottoms and the handles, but, sometimes you need some more support in them? Or you often get more than you came for and need another bag. I just had this happen to me on my way back from the store. I don't know if you have this problem, but I do. I try to use reusable grocery bags as much as possible, but I forget to bring them into the store! Same with my coupons and sometimes even my shopping list! 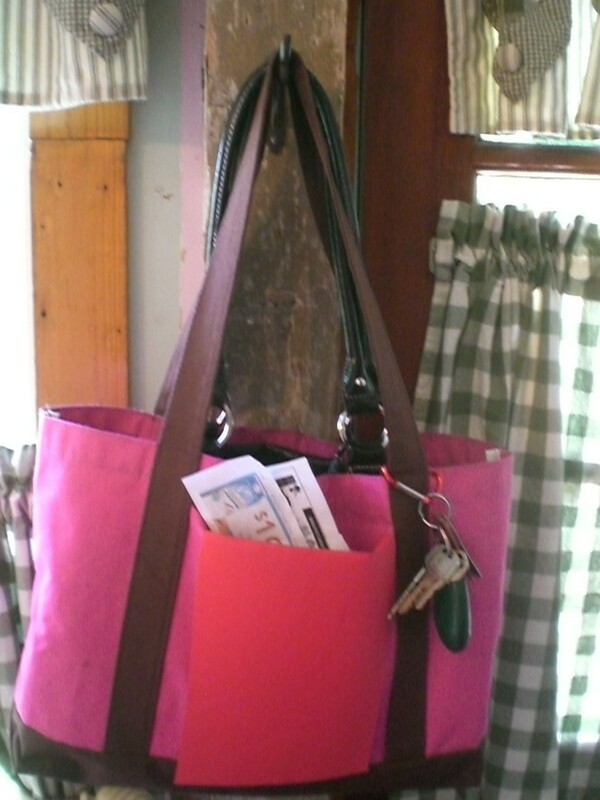 The Solution: Now at home, I place my purse directly "into" one of my reusable, cloth grocery bags and add my coupons, list and key ring to a hook on the bag as well. Then I hang this bag by the door. Every time I get home, I immediately place my purse in that hanging bag and the keys on the ring. Now when I am going shopping, I bring the purse "still" in the bag with me to carry in to the store together. 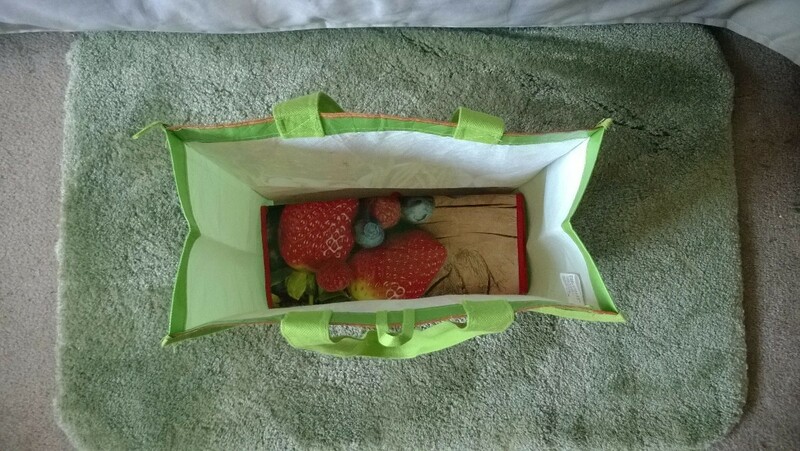 I can store or add additional folded bags in the bottom of that same bag (as well as coupons and shopping list in a little pocket on the front of the bag and bring it "all" into the store with me on shopping day! Once home and unpacked, I make sure to put them all back into that main bag along with my purse once again and place it back on its designated hook. Even though I'm doing better at remembering to bring my reusable bags with me when I shop, I still forget! And when I'm in a hurry and don't have time to run back to my car to get them (I try to park pretty far away from the store for added exercise), it's maddening! To "punish" myself (in the hope of helping me to remember the bags "next" time! ), after the items are scanned into the register, I ask the bagger to just put the items back into my cart - without putting them in paper or plastic bags. When I get to my car, I then have to take the time to put the items in the reusable bags I have in the car. I'm hoping I'll only have to do this a few more times to totally remember to bring the bags with me! Target will give you 5 cents off for every bag they don't have to give you. Be prepared by storing some in the trunk of your car, saving money and the planet.